18-Wheelers, Tractor-Trailers, Big Rigs. Whatever they are called, they are large commercial vehicles that are involved in numerous wrecks every year throughout Texas and the United States. Big rigs are a vital part of our economy. But like many business ventures, profits often take priority over safety. The Law Offices of Patrick R. Kelly represents individuals who are injured or killed in trucking accidents in the Dallas area and throughout Texas. Commercial drivers are held to a higher standard of safety when operating tractor-trailer rigs. 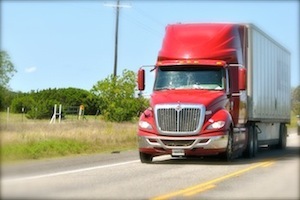 Various federal and state laws regulate the safety of commercial tractor-trailer drivers. Texas’ highways are full of these big rigs. Texas is also unique when it comes to citizen vulnerability around these massive machines as many such trucks come from Mexico where regulations, inspections, and training is often lax. The industry itself and how drivers are paid often result in a recipe for disaster. For instance, most 18-wheeler drivers are paid by the mile instead of hourly or per trip. This gives a driver an incentive to manipulate log books and stay behind the wheel for prolonged periods of time. This causes drowsiness and failure to stay cautious of other drivers and obstacles in the road. When an unsafe truck driver causes a wreck, a zealous attorney like Patrick R. Kelly can assist an injured person to seek compensation against the driver and the driver’s trucking company. Obviously, a standard car is no match for a huge 18-wheeler. The collision often results in serious injuries or a wrongful death to the car’s driver and passenger when an accident is caused by a violation of the Motor Carrier Safety Regulations or similar laws. Truckers and trucking companies are legally mandated to maintain minimum liability insurance policy amounts, which are much greater than the standard minimum policy limit for regular non-commercial drivers. The larger minimum policy limit has a direct correlation to the severe personal injuries someone can suffer from a big rig accident such as lacerations, broken bones, paralysis, nerve damage, scarring, and even death. When the Law Offices of Patrick R. Kelly is retained to represent an injured person, we move quickly to establish contact with the liability insurance carrier to begin the process to obtain a large settlement against the driver. Sometimes this means simply obtaining a police report, gathering medical records, and making a demand for payment. But our lawyers prepare every truck accident case as if the case is going to trial. We handle lawsuits in Dallas, Fort Worth, and throughout the state. Whatever the situation, our attorneys work with injured victims to obtain the compensation they deserve from trucking companies and their insurance carriers. At the Law Offices of Patrick R. Kelly, our Texas 18-wheeler accident attorneys will provide you or a loved one with a free consultation to determine the viability of the claim. There are no fees unless we collect. Call our office now! We serve the following localities: Collin County including Allen, Frisco, McKinney, Plano, and Wylie; Dallas County including Addison, Carrollton, Cedar Hill, Coppell, Dallas, Duncanville, Farmers Branch, Garland, Grand Prairie, Irving, Lancaster, Mesquite, Richardson, Rowlett, and University Park; Denton County including Corinth; and Tarrant County including Arlington.